Do you want to join our UFO research team? 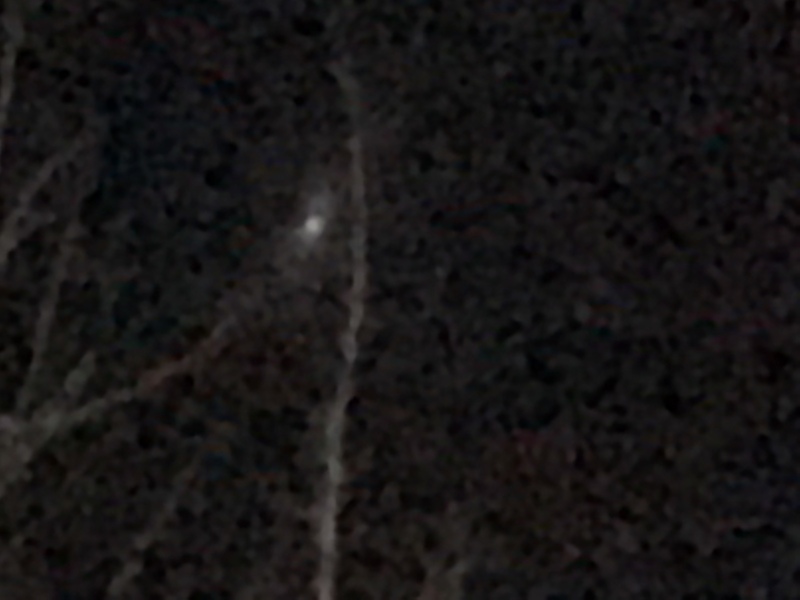 Walked in backyard after work to smoke saw bright hazy star so bright knew it was not normal at first it was not moving much at all. i took several pictures called for my wife to look at it. 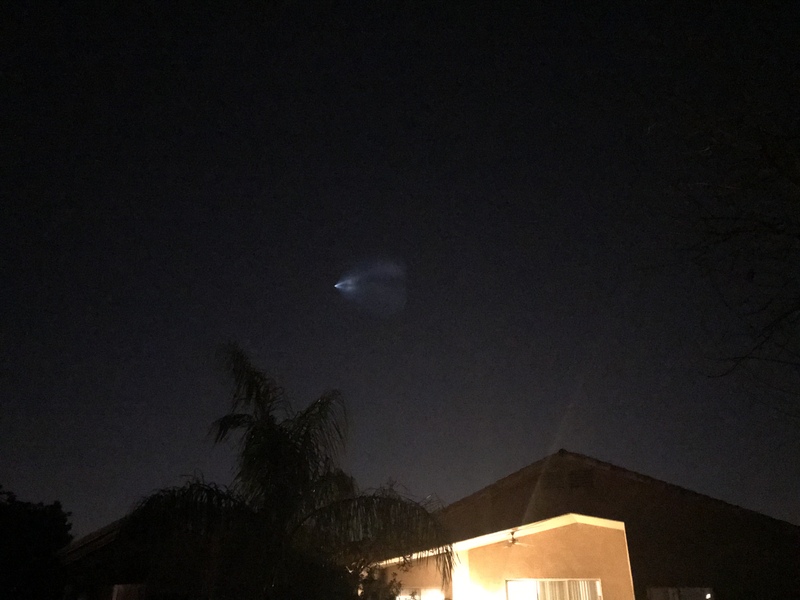 it looked like the spacex craft launch in december or november. 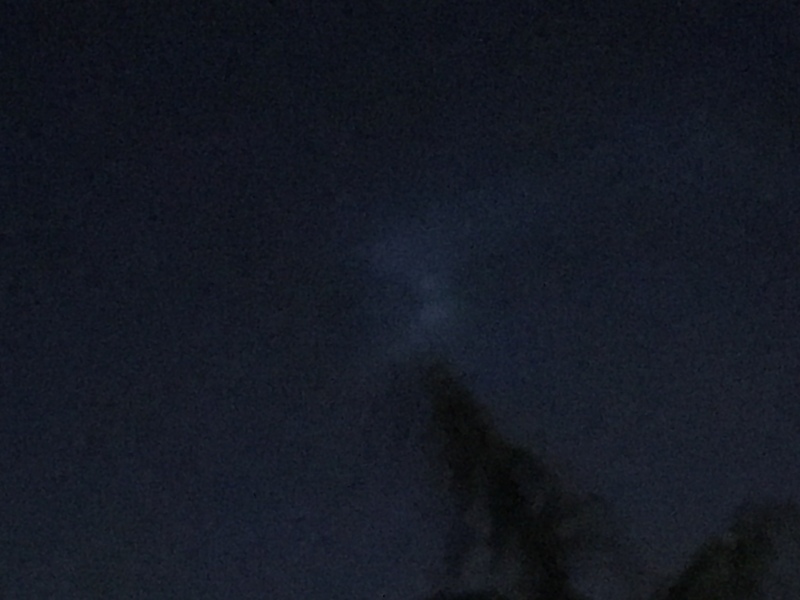 looked up and saw a spacex launch was made at 130pm my time in florida and did not see any reports of a spacex launch from vandenberg afb this night 02/06/18. the craft then began picking up speed and quickly began casting a trail. it looked like a giant shuttlecock you play badminton with glowing in the sky. then the spray or trail deminished some and the light became lower but then i saw a very faint light head back west and another head towards the surface. 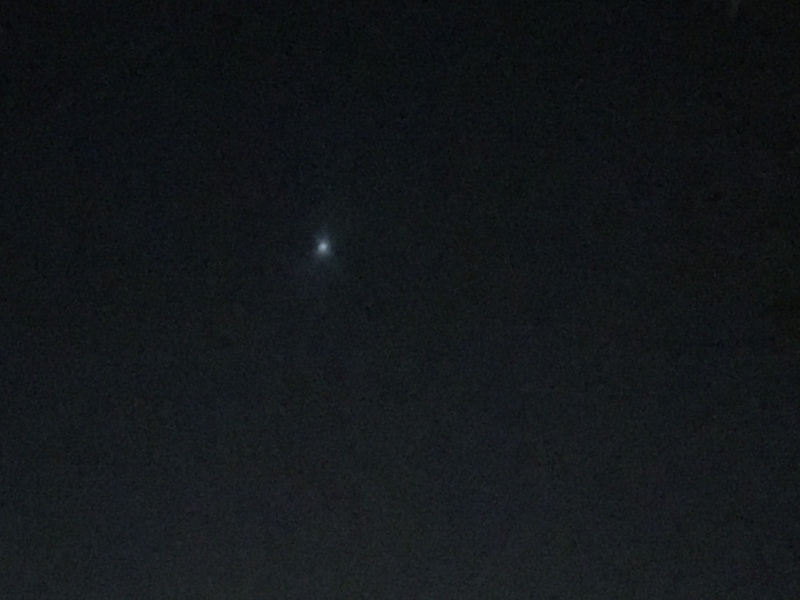 it was very faint then the light was gone. 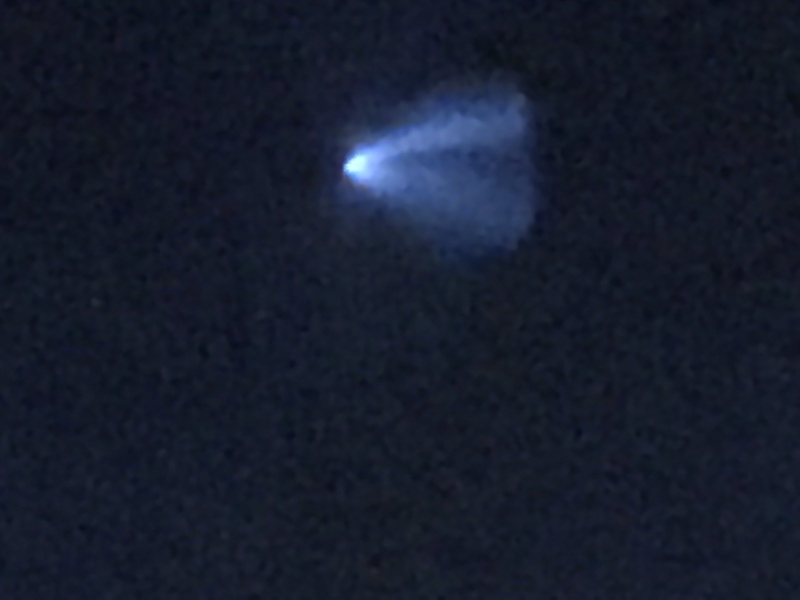 it was pretty high in the atmosphere but looked very similar to the spacex laugh in az from november. no reports on google nothing i saw reported online or news articles. 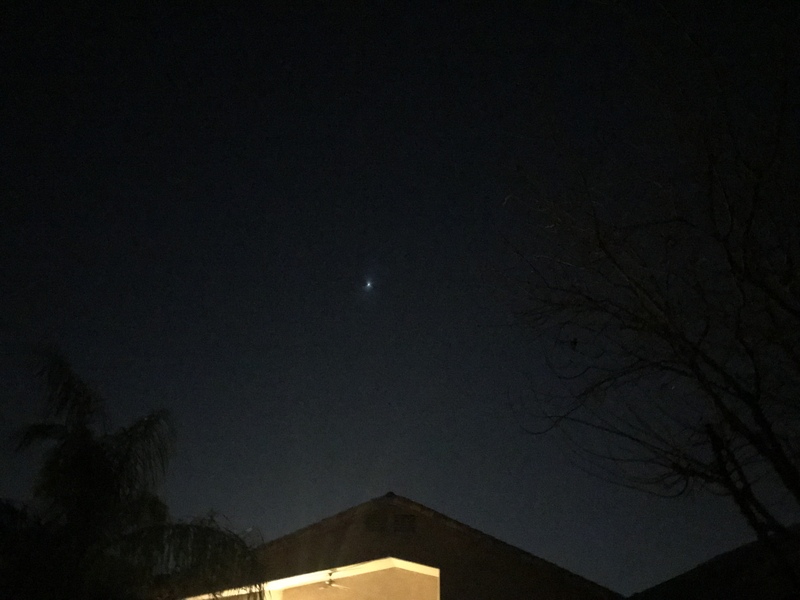 i held off thinking it had to be some satellite launched but nothing was ever reported that i have seen. The views, opinions, and facts expressed on this web site are solely those of the original authors, witnesses and other contributors. These views and opinions do not necessarily represent those of ufo-hunters.com staff, and/or any/all contributors to this site. ufo-hunters.com does not require any personal information from you other than a valid email address, and is not responsible for any personal information you choose to share through reports, articles, comments or any kind of content. ufo-hunters.com does not share your email address with third-parties, and is not responsible for the republishing of your contents (reports, pictures, videos, articles, comments) on other web sites.